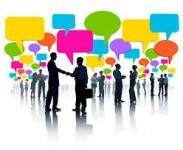 Traditional networking tends to focus on meeting and connecting with as many people as possible in a business setting. However, simply handing out your business card or talking up your business to others does not necessarily foster trust or build strong relationships. Those who attend regular networking events but feel they are not making true and honest connections with others need to shift their goals from simply increasing their number of business contacts to building quality relationships. Since the overall purpose of networking is to connect with others who can help you, as well as you help them, having strong relationships, communication and trust is fundamental. After all, there is no point knowing 100 people if you only feel comfortable reaching out to one or two of them. 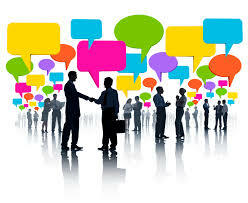 Business owners should view interactions with others at networking events as opportunities to develop true relationships. This kind of approach can help get to know others on a deeper level, and create more meaningful, natural connections. Having no expectation or pressure to connect with someone means that when or if you do connect, it is genuine and authentic. There is also no obvious underlying motive for the connection that only benefits one party, which can increase the development of trust between two people. To transition from a networking to a building approach, individuals need to focus on giving rather than getting. If the focus shifts towards helping the other person and listening to their needs, you are more likely to develop a better connection and will naturally be rewarded for your efforts. Focusing on building relationships also makes the process of following up with contacts a whole lot easier. Spending more time communicating and sharing with two or three people, instead of 10 or more means there will be less people to contact. When you reach out to these contacts, you may find that you have something interesting or important to say, which has carried on from your previous interactions. Strive to spend more time having sincere and genuine conversations with others, rather than aiming to have shorter talks with many people. Spend time getting to know the people you talk to, and think of how you could help them. Giving a little now can help in the long run if you ever need their help. Aim to just talk to people. Don’t think about whether or not the person you’re talking to will help you become more successful in your career. Make the effort to engage in conversation with them about topics or subjects that don’t relate to your business. Think of some interesting ideas or experiences that you can share with others. Keeping these in mind can help when striking up a conversation with someone new, as they allow you to start a conversation. Don’t be afraid to talk about and connect through different topics and experiences, such as school memories, hobbies, pets or even television shows.